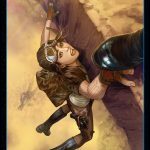 DOCTOR APHRA — WORST AMONG EQUALS! 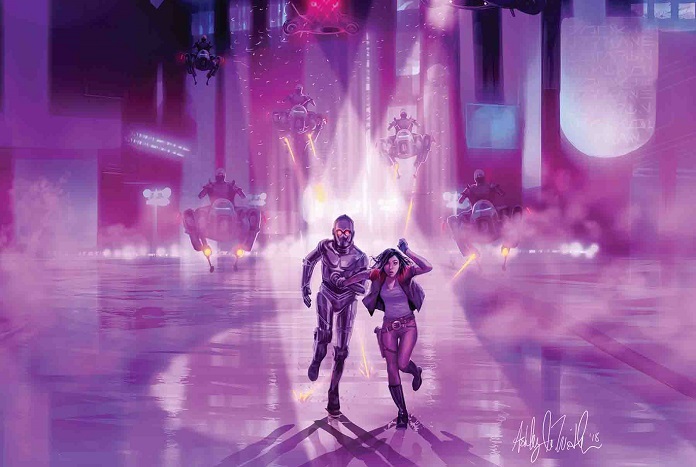 On the run from the law in an alien city, DOCTOR APHRA can’t stray more than a few paces from her companion without both of them blowing up. Time to cooperate, right? Except, unfortunately, her companion is Triple-Zero, a sadistic murderdroid who’s more interested in her death than playing nice. 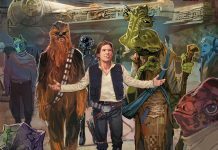 A brand-new misadventure for the galaxy’s foremost amoral archaeologist starts here! The first part of Worst Among Equals begins on the planet Milvayne, with Doctor Evazan talking to Ponda about what they are seeing. Evazan can see through Triple Zero’s eyes and so the entire story is narrated by the doctor. 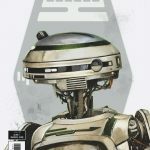 Aphra and Triple Zero arrive on the planet, with Aphra trying to bride the docking bay official, only to have the droid kill him. 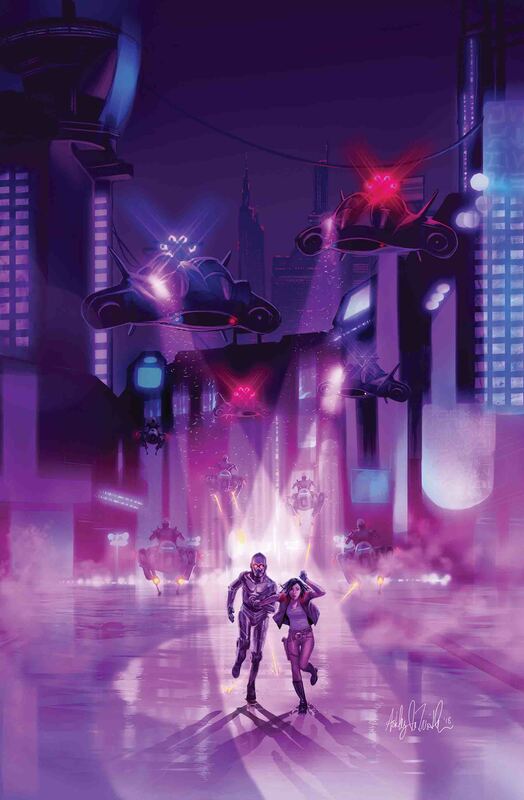 The two continue to venture into a city on the planet, with Triple Zero quickly walking away from Aphra. She reminds the droid that they need to stay within close proximity to one another, or the bombs inside them will explode. Evazan tells Ponda that watching the two criminals might help to keep him entertained while the doctor creates a new arm for him. 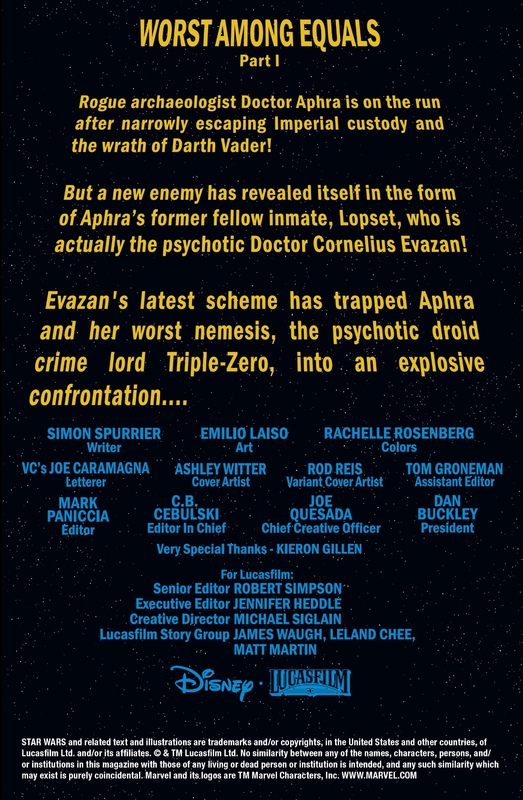 Evazan gives a short recounting of the last story arc, explaining that Aphra and the droid were on a ship owned by Posla, which had credits that could only be used on Milvayne. 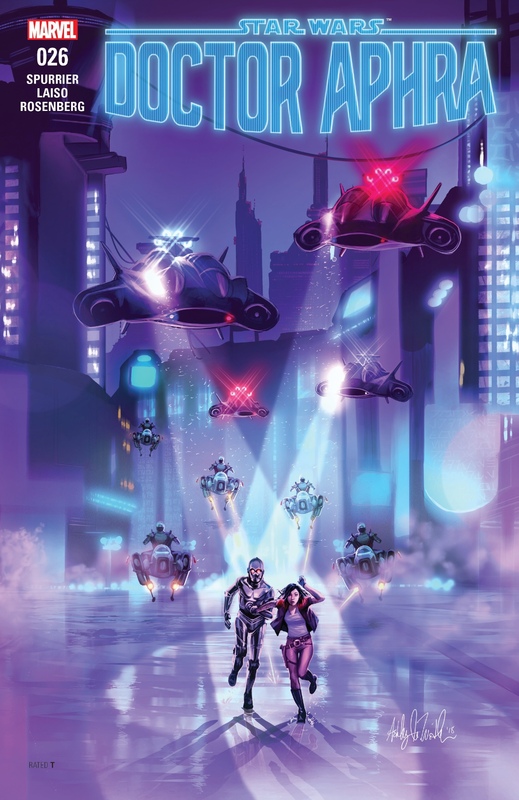 We then go back to Aphra and Triple Zero, to find them under attack by the local law enforcement. 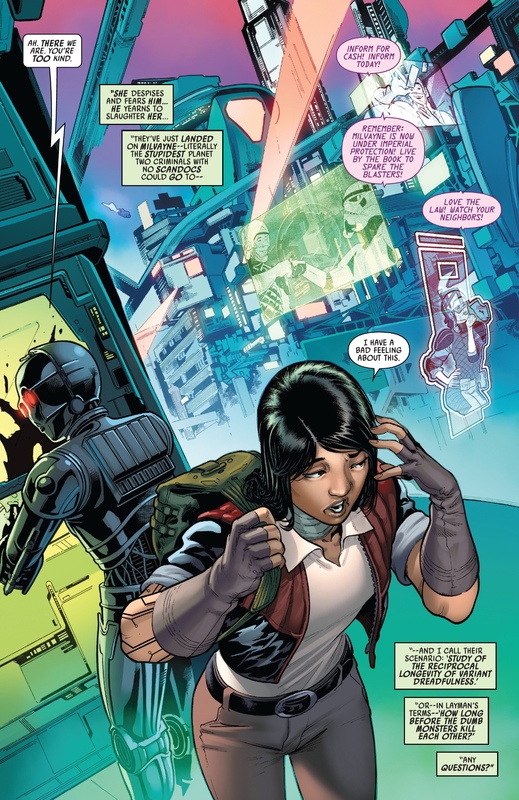 Again, the droid goes off to get a speeder, leaving Aphra unable to do anything other than follow. 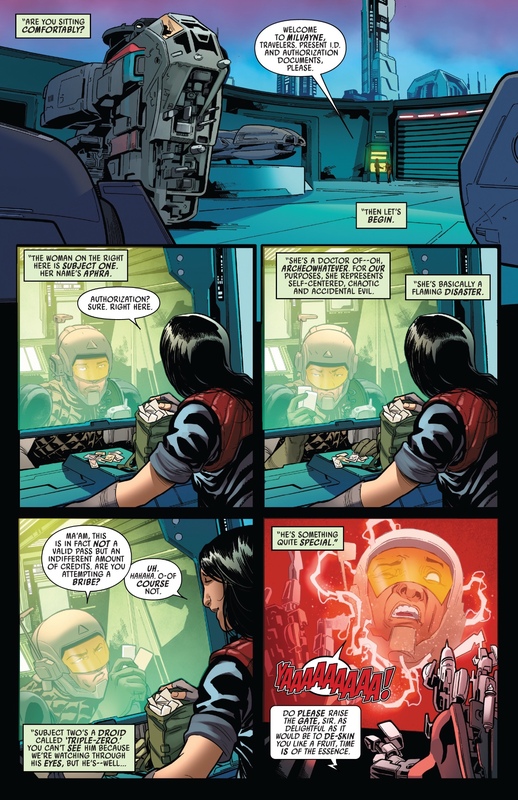 With not much luck, Triple Zero uses the self-destruct on the ship they arrived on, much to Aphra’s shock and annoyance. They soon find a doctor called Nuss who can remove the bombs from the two. Just before the procedure starts, Aphra asks the droid if he can spare her life. The only reassurance he can give her, is that he will give her a five minute head start. 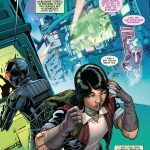 The Doctor Aphra series has always suffered from one problem; consistency. 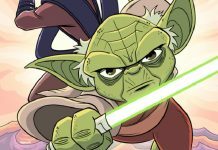 When Aphra appeared in Darth Vader every issue was a joy to read, but since the introduction of her own series, Aphra has really struggled to hold the same level of quality as it did in Vader. The last story arc was fantastic and really showed what could be done with the array of characters in the series. But I have to say that I opened this new comic with a lot of trepidation. I needn’t have. The story in this issue is a short one, but well worth reading. It does an excellent job of recapping the last story arc as well as moving the story on. For me, the highlight of the issue was Triple Zero. 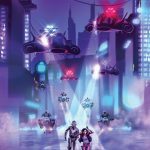 Having seen so much of the droid in other story arcs, the writers decided that we needed a break from the murderous tin can. And after reading this issue, I can really appreciate their decision. Having a break from the droid lets you enjoy having him back. He hasn’t changed, he still likes to kill everything, and does everything on his own terms. He just doesn’t care. 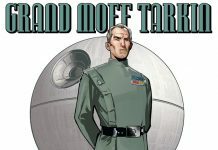 Having him with Aphra works tremendously well, as Aphra has to follow his lead otherwise she ends up dead. 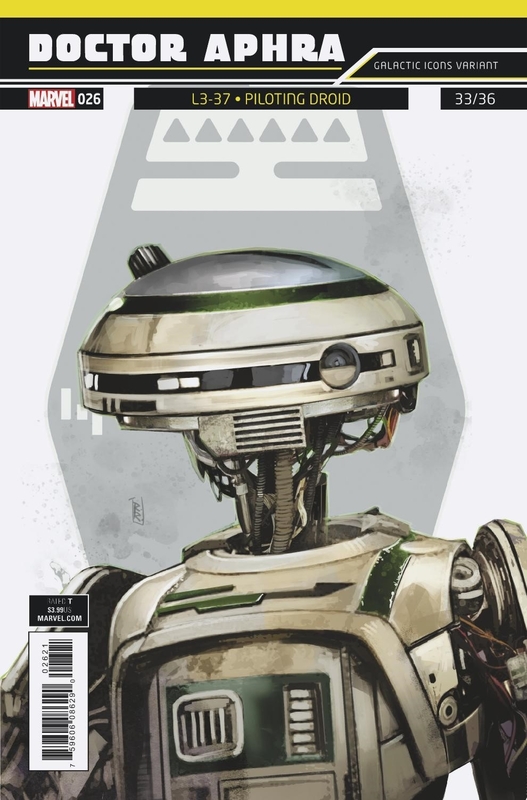 I do think, with the two attached and Triple Zero having to at least take Aphra into account that Spurrier is giving the droid the opportunity to grow. I’m not quite sure how that works with a droid, but I’m eager to find out. 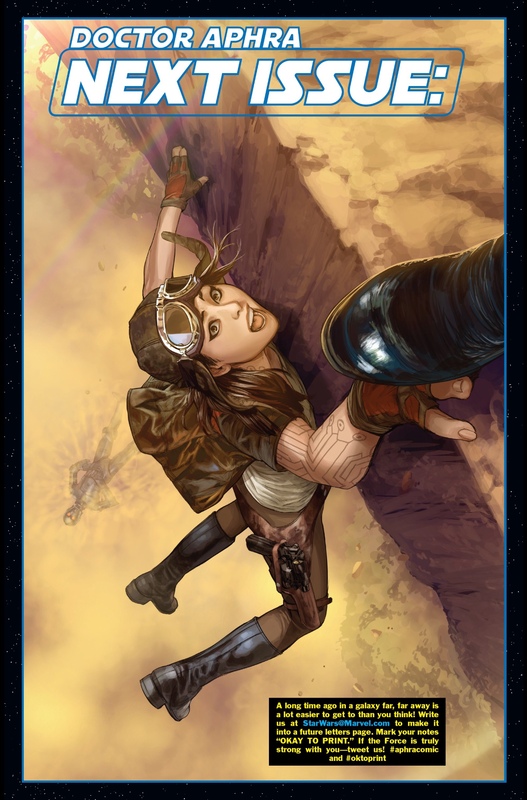 The other aspect that worked brilliantly from having Aphra and Triple Zero together, was the moral issues. 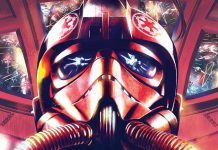 Aphra asks Triple Zero why he has to kill, which the droid responds is it not better to hurt strangers than those you love. These two characters are so similar and yet so different, which is the worst? It is a great question to have arisen in the first issue and shows just how far the writing has come since those early comics. 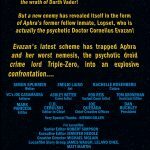 The whole premise, of Evazan narrating the proceedings to Ponda is hugely enjoyable and I love that we are getting more background on these characters. It helps to add a lot to the humour that is still underlying almost all the panels in this issue. As the first part of a story arc, I’m really happy to see that the quality of writing has remained intact. 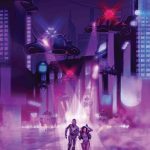 Having had a complete change with the ending of the last story arc, it feels that we are starting afresh and could be driven in just about any direction. A lot of foundations are set that I’m sure will come back to the surface, the further into the narration we go. 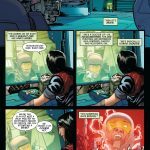 I said at the start that Doctor Aphra has always suffered from inconsistency, yet this first issue shows just how far the writing has come, to give us some stability in the quality of the writing, which is just what this series needs. 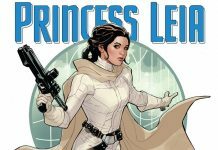 With such a good recap of the previous story arc, this is the perfect time to begin reading Aphra if you haven’t already done so. 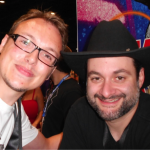 I will await the next issue a lot more relaxed and ready to enjoy the next instalment. 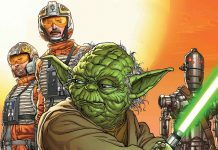 Doctor Aphra is an ongoing series available from Marvel. This issue is available via the Marvel App and all good comic book stores. This issue retails at $3.99.